In this post I will share with you my make up cleansing duo for the past years. Honestly, I cannot remember when I started using Bifesta Cleansing Lotion but what I remember is that I found it accidentally at Watsons. Before, I used make up wipes but it was pretty costly. So during my Watsons’ visit,I bumped into this and it looks a good product to try. I took a leap of faith that it will do good on my skin. Glad I purchased it because it really works well on my skin. From then on, Bifesta Cleansing Lotion was officially a main stay on my vanity. My everyday make up just consists of the basics. No eyemake whatsoever. Because given my working environment, where I am just infront of the computer whole day – a glamour eye makeup is just a waste of time and makeup. Lets move on to the duo. 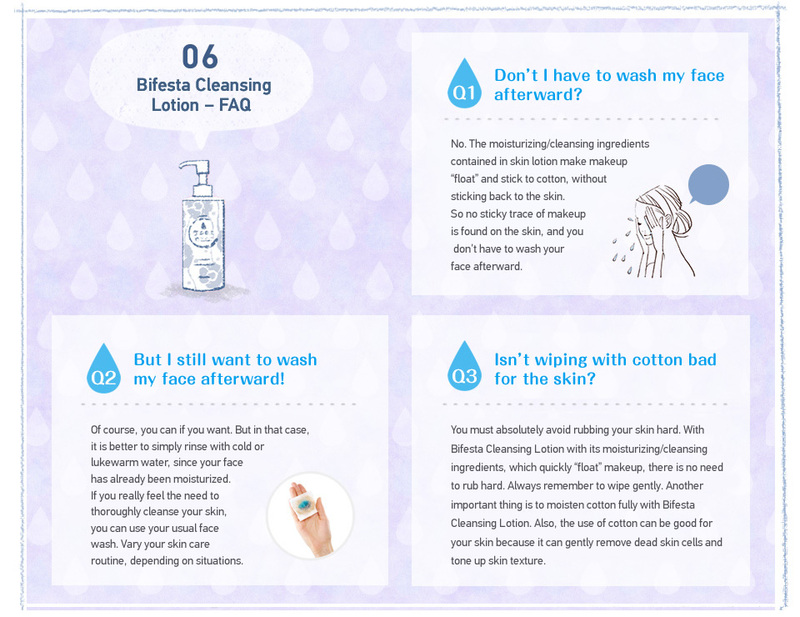 What is Bifesta Cleansing Lotion? BCL comes in four variants for different skin types: Moist (dry and sensitive skin), Sebum (combination-oily), Brightup (dull and flaky), and Agecare (mature). I already tried the Moist and Agecare but I sticked to latter because it has an anti-aging property. As illustrated, you have the option NOT to cleanse your face after using this product. Haven’t done that yet as I want my face in full cleansed. I have an acne-prone skin so washing my face before bedtime is a MUST. I paired my Bifesta CL with my Giggles Baby Wipes as I find it cheaper than using it with a cotton pad. Giggles Baby Wipes is perfect for sensitive skin as it was intended for baby skin. One pump of Bifesta on my Giggles Wet Wipes and it can take off all the make up I have on my face. My second wipes will rinse the remaining make up if there is any. One bottle of Bifesta lasted for 2-3.5 months while Giggles Wet Wipes (96 wipes) for 2-3 months. I only used them every time I have make up on. Giggles Baby Wipes is also a mainstay not only in my vanity but also inside my bag. My bag feels empty without it. I love its texture; not so wet unlike other wipes, yung iba kasi basang basa talaga lols and its not easily to tear off. The price is reasonable plus they have free wipes for every pack (as seen in the picture – 80 + 16 wipes = 96 wipes). Isn’t that cool! Hope you learned something from me beauties. Feel free to share your cleansing routine so I can try them too! Such cute packagings. Great review. Same here! Giggles din gamit ko. Cheaper than other brands. Well mas may cheaper actually pero crap. 🙂 I like this better. I also tried different wipes but I keep coming back to Giggles hehehe.